Delicious cocktails don't need to be complicated - ditto for a well-stocked home bar. 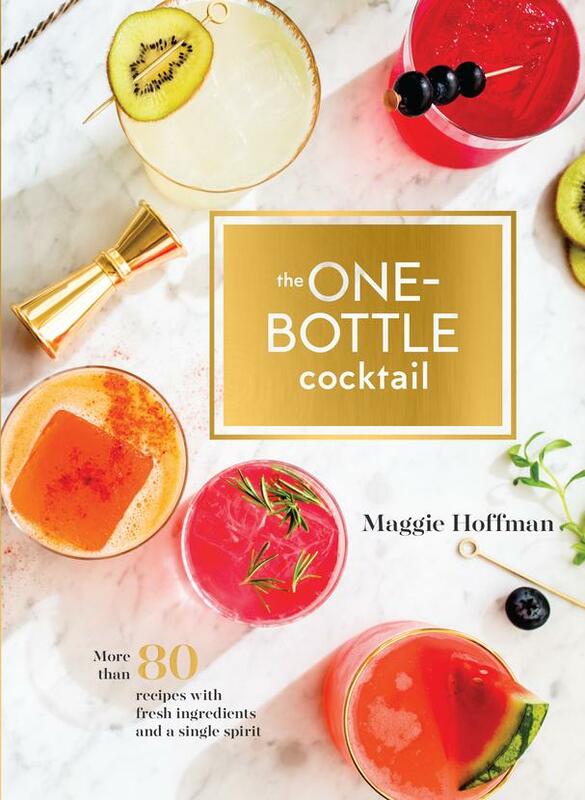 In her new book, the One-Bottle cocktail: More than 80 recipes with fresh ingredients and a single spirit, author Maggie Hoffman describes a scenario we've all be in - asking the bartender what's in your perfectly balanced swanky cocktail. The bartender then rattles off a list of expensive and elusive liqueurs, tinctures, bitters, amaro. You'll never make that cocktail at home. The same goes for the ubiquitous overcomplicated cocktail books. If you don't have room for esoteric bottles, Hoffman says, then her book is for you. Hoffman's two rules are simple: every one of the 83 recipes in her book calls for just one bottle of alcohol - tequila, vodka, gin, rum, bourbon, etcetera, and liqueurs, vermouth, bitters, amaro, absinthe, or aperitif wines are not required. In fact, everything you need is most likely already in your home bar and easily found at your local grocery store. Instead of bitters, you'll get creative with ingredients that add a bitters-like experience such as citrus pith or tea. The bottles you'll need on hand for whipping up her delicious elixirs are vodka, gin, agave (which includes tequila and mexcal), rum, brandy, and whiskey. Each seasonal recipe (from bartenders from around the country) uses simple ingredients in innovative ways, like muddled green tomatoes to add tartness to the Garden Gnome cocktail or silken tofu in a vodka sour garnished with a twist of lime and freshly grated nutmeg. The Koji King blends Scotch with lemon juice, simple syrup, and white miso and the Auld Boulevard, a delicious Scotch-based relative of the Negroni, features a Bittersweet Radicchio Syrup. In Bonus Drinks Huffman suggests whiskey substitutions for rye, bourbon or Scotch to create new drinks. She also breaks down the cocktails by season and by occasion, such as a Bridal Shower Brunch, Super Bowl Party, Fancy Dinner Party, or Holiday Fete. If you find yourself in doubt of what brand of spirit to buy the bartenders featured in the book give their recommendations for their favorites. Below is a cocktail recipe that's perfect for the holiday season. This rum punch cocktail has subtle floral notes and a lovely numbing effect from Sichuan peppercorns. At least 24 hours before you plan to serve the punch, fill a Tupperware or cake pan with water and freeze to make an ice block that will fit in your serving vessel, or make several trays of large ice cubes. Meanwhile, make the infused rum: Carefully spoon Sichuan peppercorns directly into the bottle of rum, using a funnel if desired. Reseal the bottle and let sit at room temperature for 24 hours, jostling occasionally to move the peppercorns around. Strain the infused rum through a fine-mesh strainer and discard peppercorns. If not serving immediately, return the infused rum to the bottle using a funnel and store in a cool, dark place for up to 3 months. When ready to serve, combine entire bottle of infused rum with the measured pomegranate juice, lemon juice, simple syrup, and water in a large punch bowl. Stir well to mix and carefully add the ice block. 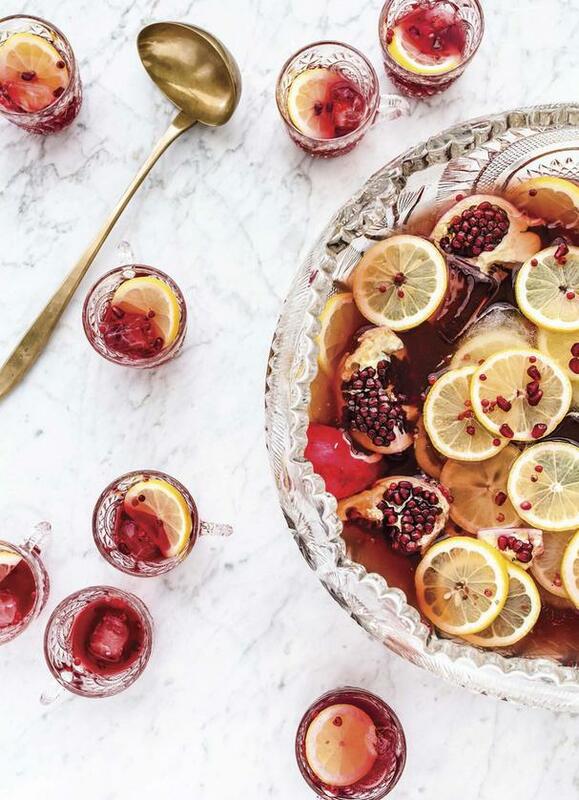 Garnish punch bowl with lemon wheels, pomegranate seeds, and peppercorns if using. Ladle into ice-filled punch glasses and garnish each glass with a lemon wheel.